Of all the things you need to pay attention to as a homeowner and devote regular maintenance and replacement, your roof is one of the most important. Fortunately, your roof can last a minimum of 20 years and up to 50 if you take good care of it. However, if you neglect it, wear and tear can take a toll and decrease its lifespan. As you regularly inspect your roof, there are some obvious features to pay attention to. Hop up on your roof a couple of times a year and take inventory of whether you have missing shingles. If your roof is several years old, and only one or two shingles are missing, you shouldnt be too concerned. However, if several have disappeared, or if your new roof is missing even one, you want to act fast and replace the shingles without delay. Months of wind, rain or snow can beat down on your roof and create some significant wear and tear. Even the highest quality roofing materials wont last forever in harsh conditions. Its vital to do semiannual inspections of your roof to identify any shingles that may show signs of curling or buckling or to find any that may be broken in any way. 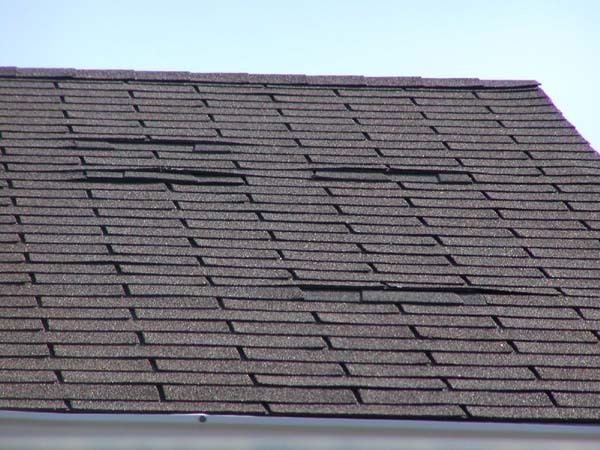 Dismissing this problem could lead to serious, costly roof issues.